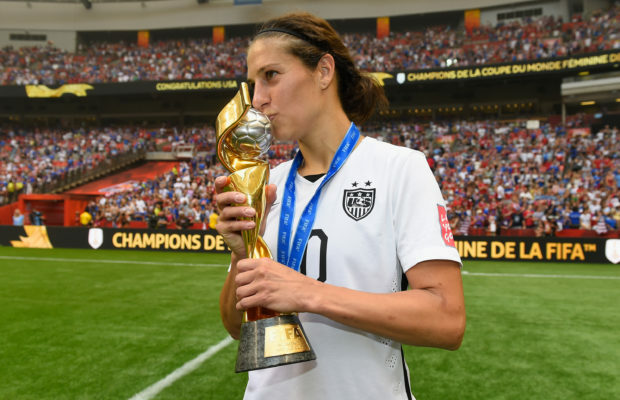 VANCOUVER, British Columbia – Carli Lloyd waited her entire life for this moment. The United States women’s national team waited four years for a second crack a World Cup title. On Sunday, Lloyd needed only five minutes to emphatically secure her and her team’s fate. The United States midfielder scored twice in the first five minutes on Sunday at BC Place to electrify a pro-American crowd of 53,341 fans, and the Americans marched on to score another three goals – Lloyd added one of those – to beat Japan, 5-2 on Sunday in the highest-scoring Women’s World Cup final in history. Her third goal “might be the best goal ever scored by the United States,” said longtime captain Christie Rampone, who was part of the 1999 World Cup title team as well as this one. In the 16th minute, Lloyd collected the ball in her own half off a Japan turnover and made a subtle touch on the ball to slip past a defender. 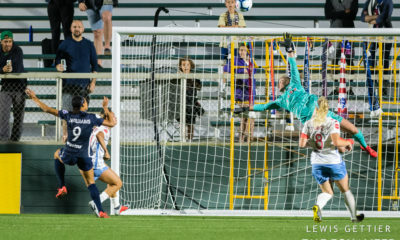 When Lloyd lifted her head, she saw Japan goalkeeper Ayumi Kaihori well outside of her goal box and, with a foot inside of each half, Llloyd launched a shot over the head of the hopeless goalkeeper, who got a finger on the ball but could only slow its inevitable roll of destiny over the goal line. “I’ve dreamed of scoring a shot like that,” Lloyd said, adding that she scored a similar goal once when she was younger. The team’s World Cup triumph was at one point a relatively improbable though, but Lloyd playing the role of hero is really the most probably of endings. She was the first man or woman to score the Olympic gold-medal winning goal in back-to-back Olympic Games, lifting the now three-time defending Olympic champion U.S. women to glory in 2008 and 2012. Lloyd, who turns 33 years old this month, has evolved from an out-of-shape young player, who was cut from youth national teams and on the verge of quitting the game over a decade ago, to one of the greatest players in the history of the greatest women’s soccer program on the planet now that it has become the first nation to win three title, in addition to four Olympic gold medals.. She won the Golden Ball award for the 2015 World Cup, given to the tournament’s best player. Lloyd is the epitome of an athlete who is laser-focused, eyes wide and hungry at every moment on the field. She disconnects from her personal life during major tournaments and maintains minimal contact with her family and friends in order to focus solely on herself. However, during tournaments, Lloyd does maintain daily contact with James Galanis, her trainer and the man she credits for her career turnaround. Galanis has been in Greece on vacation during the World Cup, but on Sunday morning, in a time zone 10 hours ahead of the one in which Lloyd played, Galanis sent the midfielder a motivational email just has he does before ever major tournament final (Lloyd has played in four now), the contents of which remain between trainer and player. “She’s just a mental and physical machine,” Galanis said via text message. Mentality is key for Lloyd. That there are any doubters of Lloyd left out there after Sunday’s performance is a ludicrous thought. But any lingering thoughts about Lloyd and this generation of players not yet having a World Cup title of their own have been put to rest. Lloyd’s mentality – emblematic of the team’s – is a big part of what got the United States to the podium. After Sunday’s otherworldly performance, Lloyd shared a personal moment she had back home in southern New Jersey last month before departing for the World Cup. Lloyd was by herself on the humble, unassuming fields of raggedy grass in Medford, N.J., headphones in her ears while she ran sprints. Lloyd had a moment, she said, when she was daydreaming of playing in the World Cup final again. In that dream, she scored four goals, which by all realistic accounts of a soccer match – especially a World Cup final between two world-class teams – is an audacious pipe dream. But there sat Lloyd on Sunday, having just become the first player to score a hat trick in a Women’s World Cup final, and it never seemed like it couldn’t happen. It felt like Lloyd could have scored six goals on the day if she were given the time; the same could be said for her teammates. U.S. coach Jill Ellis also envisioned winning the World Cup, just not that emphatically. “Five is kind of a dream come true,” she said. 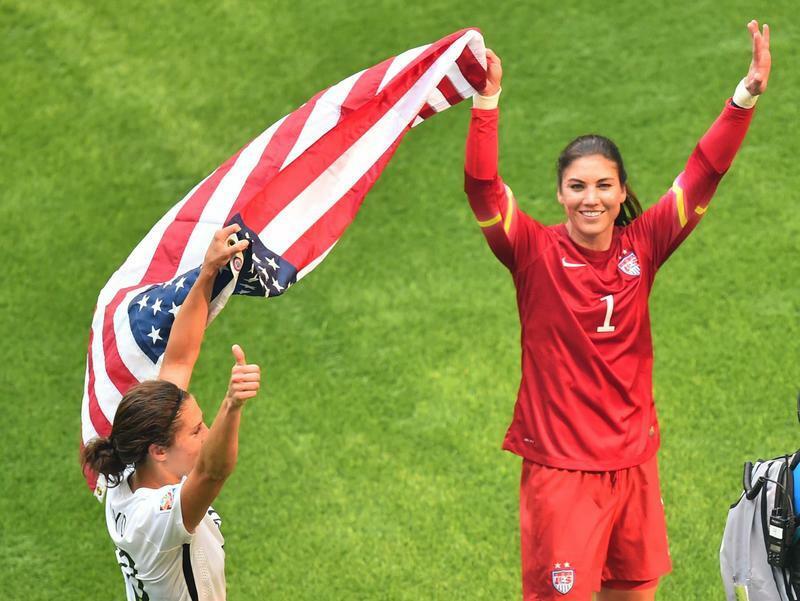 Even 10 days ago, the United States winning this Women’s World Cup title seemed unlikely. “I feel like this core of these 23 players and this staff have believed more than anybody else in this country,” U.S. forward Alex Morgan told me on Friday. She is right. That belief among player is all that the team ever really needed, and they told everyone all along. 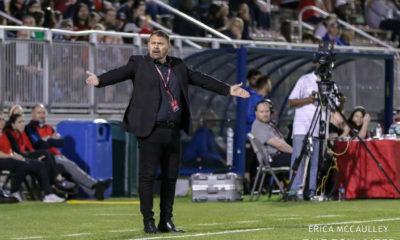 Ahead of the quarterfinal match against China – which was the turning point of this World Cup for the United States – Lloyd faced the TV cameras and the scrutinizing questions all that week – just as she did all tournament – in Ottawa. “We all know we’re not playing our best football,” she conceded then. “Our best is yet to come,” she promised. All of those things happened. U.S. coach Jill Ellis, first by force due to suspensions and then by choice, changed her approach and pushed Lloyd up higher on the field, giving her the freedom for which she longed – the freedom which had delivered two Olympic gold medals and now, ultimately, a World Cup title to the United States. Lloyd speaks often of her desire to be the best midfielder in the world. On Sunday, she proved that such a designation would be a disservice; to just call her a midfielder is too limiting. “She was obviously the best forward in the world, the way she performed tonight,” Rampone said. On this day, Lloyd stated loud and clear her case as the world’s best player. But really, it’s all believable when Lloyd is on the field.